The U.S. still has full use of al-Udeid Air Base in Qatar but has considered alternatives in case the diplomatic rift between the U.S. ally and four other Arab nations further escalates, Pentagon spokesman Navy Capt. Jeff Davis said. "I think any time you are doing military operations, you are always thinking ahead to Plan Bs and Plan Cs … we would be remiss if we didn't do that," Davis said. "In this case, we have confidence that our base in Qatar is still able to be used." Al-Udeid is home to more than 11,000 U.S. forces and houses the Combined Air Operations Center, where the U.S.coordinates airstrikes against the Islamic State in Iraq, Syria and Afghanistan. 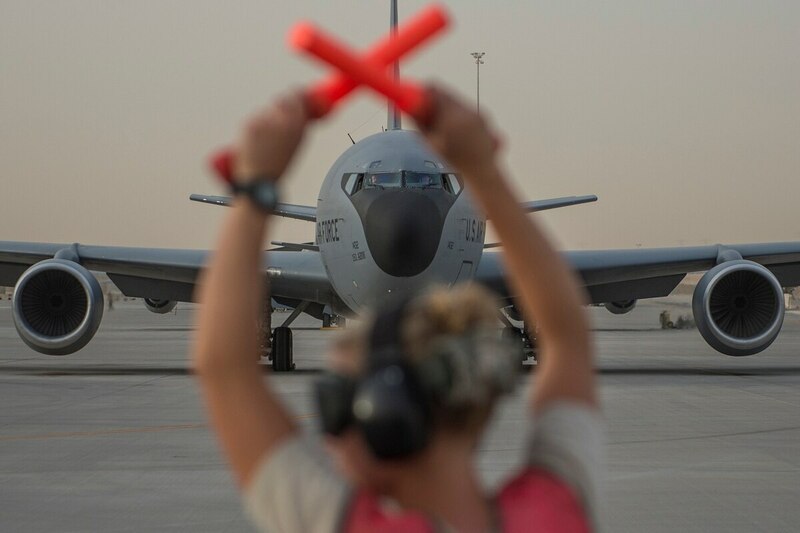 Last month, al-Udeid’s continued viability as the major U.S. air operations center was put into question after Saudi Arabia, Bahrain, Egypt and the United Arab Emirates cut diplomatic ties with Qatar and pledged to block all flights from entering the country. The countries have accused Qatar of actively supporting extremist and terror groups, and they have created a list of demands to be met before the ban is lifted. In the weeks since, U.S. Secretary of State Rex Tillerson and Secretary of Defense Jim Mattis have tried to mollify tensions between the countries but the diplomatic crisis continues. On Monday, the Washington Postreported that one of the incidents that sparked the current crisis may have been caused by a fake news story planted on Qatari news media — by the UAE. The UAE has denied it had a role in the media hacking. Late last week, President Donald Trump said other Gulf countries would be willing to host the U.S. if the current crisis made it necessary to relocate the air operations center. Mattis, in a media availability after the Trump comments aired, said there was no need for alternatives at present. Davis said the flight ban has not impacted U.S. military operations there to date. "Despite the situation going on with Qatar, we continue to have full use and access of the base there. We are able to re-supply it, we’re able to conduct operations," he said.